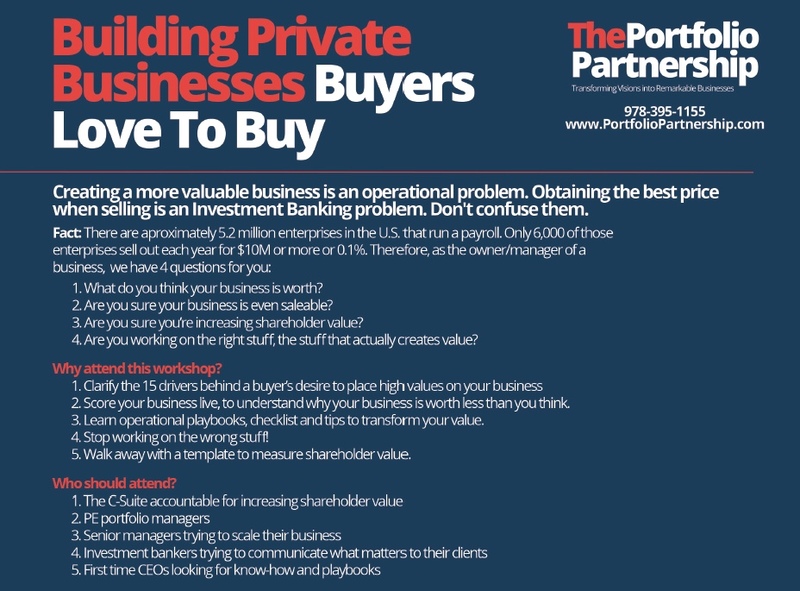 I’m doing a series of workshops in the coming months on Building Private Businesses Buyers Love To Buy. Date: July 20th at 7.30 am. Venue: Brae Burn Country Club. Sponsor: CEO Club of Boston. Email me at Ian@TPPBoston.com on a first come, first serve basis.